The historic fishing vessel Johanna, which went aground on Saturday night, has been successfully refloated and towed away for repairs. With pollution control booms deployed and lines run to shore to keep the grounded vessel from slipping down the rocks, salvors used a floating shearlegs to pick up the vessel's stern with a sling. The team dewatered her interior and made temporary repairs to her damaged bow. "It has pretty major damage, but we hope that we will manage to repair it,” said Kristian Qvigstad of Norway Yacht Charter, her owners. He told Aftenbladet on Tuesday that he was confident the firm would be able to return the Johanna to service. 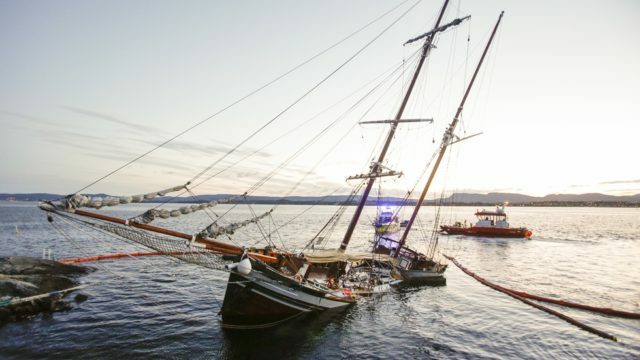 Qvigstad had emphasized the importance of getting the wooden boat off the rocks quickly for fear that wave action would cause additional hull damage. The grounding is especially unfortunate as the 124-year-old vessel had been recently restored, at great expense. The cause of the accident is not yet clear. Investigators said that they have not yet questioned the captain, and that he is on a list of people who will be summoned later. 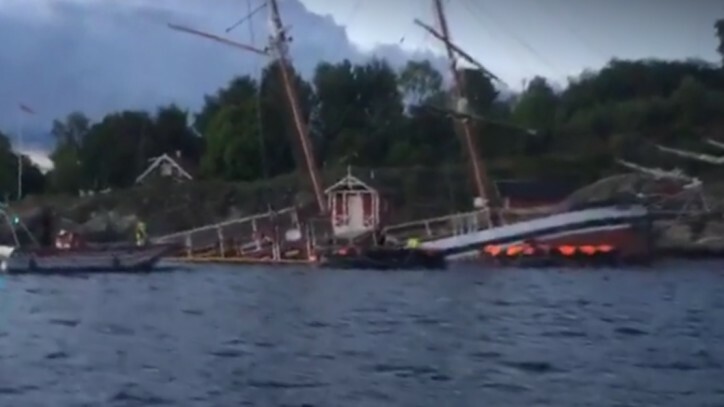 Passengers told NRK Radio that the vessel made a hard turn and headed for the bank at full speed. 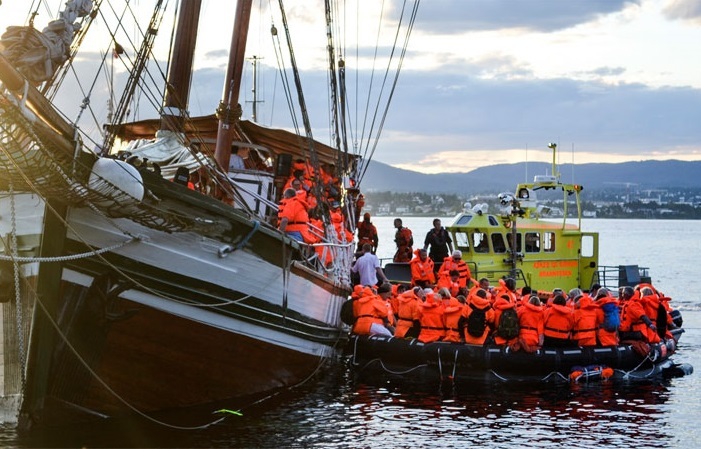 After the vessel was grounded, police evacuated passengers quickly, and all 156 people on board were brought safely to shore.